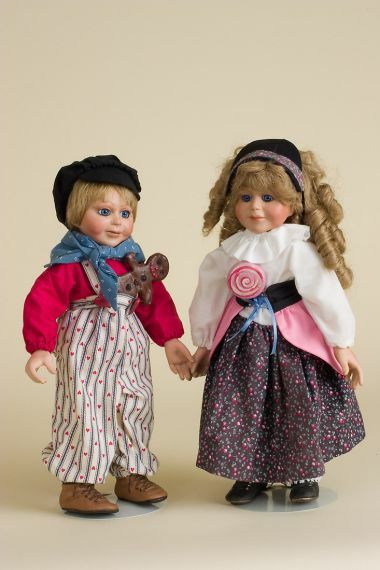 Hansel and Gretel is a rare, limited edition porcelain art doll set by doll artist Faith Wick. This beloved innocent brother and sister is a rare Faith Wick studio porcelain. They are each limited to 250 pieces, and we are selling them as a set. Hansel is #5/250 and Gretel is #2/250, both hand numbered on back of neck. The height of these dolls is approximately 15 inches. They have blown glass blue eyes and inset lashes. The head, hands and arms to elbow are porcelain and the shoes and socks are also molded porcelain. The bodies are plush. 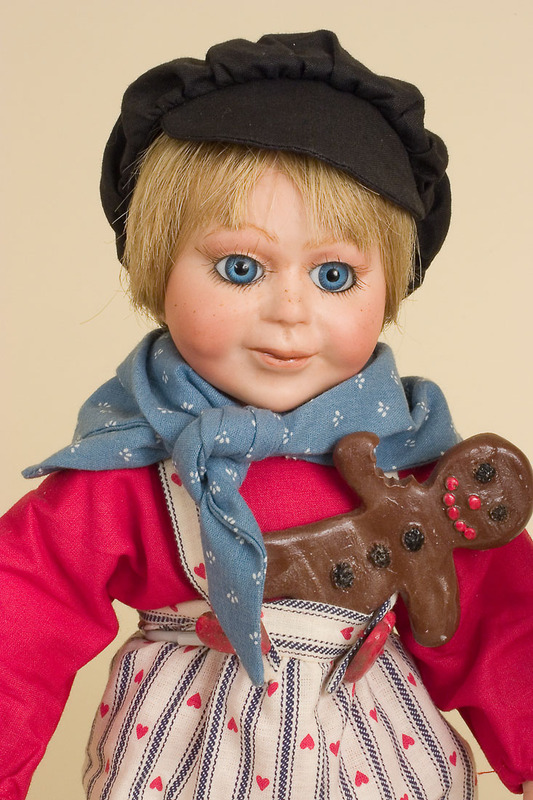 Hansel comes with a delicious looking gingerbread cookie, and Gretel with an oversized pink Lolli pop. Gretel's floral print dress front has faded a little over time, but both dolls are otherwise in mint condition. Faith Wick is famous for the children's park in northern Minnesota called Fairyland, filled with her own life-sized characters. Her forte has been creating characters from nursery rhymes, folk and fairy tales, holiday and circus, In addition to her own studio pieces, as our Hansel and Gretel set is, she has also designed dolls for Effanbee doll company, Enesco, Silvestri, R. Dakin and others. 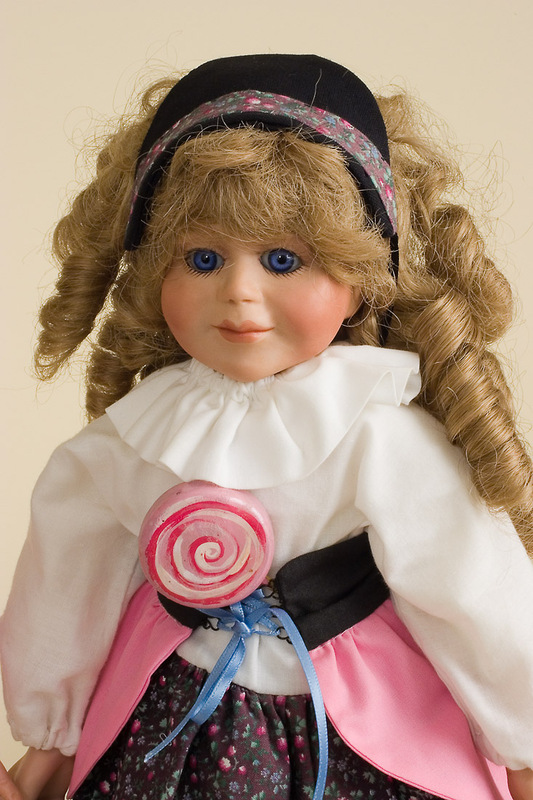 She has a biography written by the founder of the National Institute of American Doll Artists, Helen Bullard and Seeley Ceramics produced two books of her sculpting techniques.